It's a good idea to have your sizes with you when you call to pick your new flooring. We can then give you an idea of cost and the best products to show you for your budget. This guide is only intended to help achive that aim and does not replace our profesional measuring service. You can arrange your free measuring apointment in advance here if you prefer. 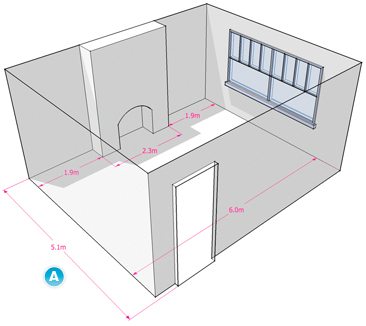 We know that measuring your room can seem daunting but it really needn't be. Follow our simple, how to measure your room guides and you'll be an expert in no time! 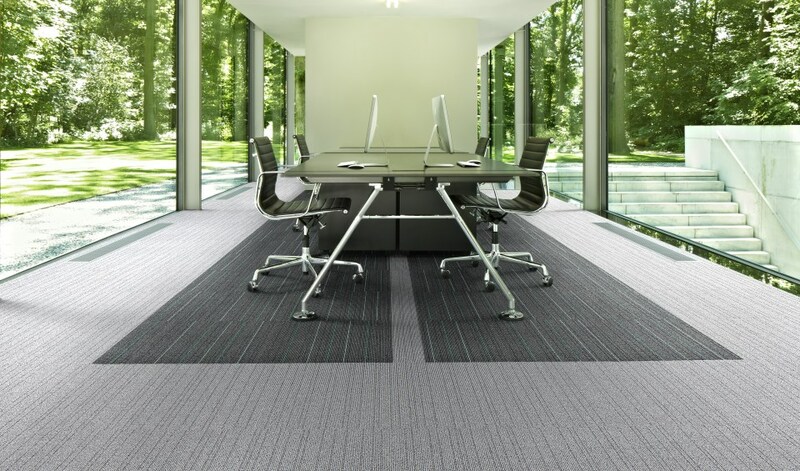 If the carpet is only 4m wide then you will need to buy either the length of the room by the width twice and use the second piece as a filler to give you your 4.4m width or if you are fitting another room you may find that you have excess from this room that can be utilised as the filler. Dont worry, we will be able to advise you on the most economical way to do it. For L shaped rooms you will need to draw out the shape and take the two length measurments and the two width measurements. 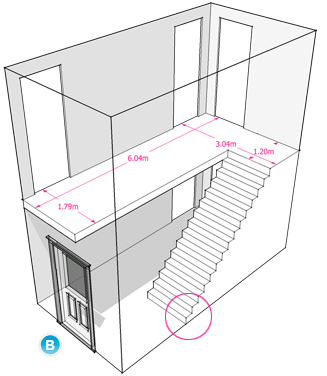 When measuring a hallway, stairs and a landing you will need to take additional measurements. You should start by measuring the length and width of the hallway as you can see from the plan to the right. You should stand with your back against the wall and the length of your hallway will become your length and the measurement across your hall would become your width. For L shaped hallway's you will need to draw out the shape and take the two length measurments and the two width measurements. You need to measure the stairs taking into account the tread and the riser. For ease and if these are all the same you can measure the bottom riser and tread and then multiply this by the quantity of steps. Winder stairs usually come in groups of three and should be measured at there widest and longest points. Keep in mind that the pile of the carpet always runs over the nosing at 90 degrees. When this has been completed you then need to measure your landing. For L shaped landing's you will need to draw out the shape and take the two length measurments and the two width measurements rembering to measure over the top step on the landing were the stairs join on to it. If it is a more comlicated shape then draw it out and put on as many measurements as possible. Once all measurements have been taken you can plan what you need to buy taking into account the width of carpet you wish to purchase. In the event that the width of the hallway or landing is greater than the width of the available flooring then you will need to include a join. This area can be used as an infill from excess from the other areas if available. Dont worry, we will be able to advise you on the most economical way to do it. Seams should run towards primary light sources where possible. You should allow extra in your purchase for patterned goods such as Wilton, Graphics etc to allow for pattern matching . You will need to measure your rooms width and length at it’s widest point taking into account any bay windows and door entrances as below. 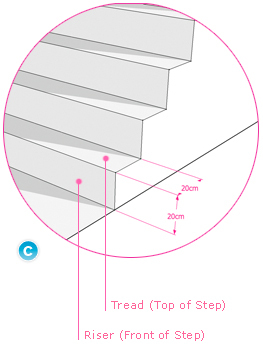 Once you have these measurements you need to add 10cm on all sides to allow for cutting in during your installation. When you have the room width you need to check that it is less than the width of the Vinyl you are buying to avoid any joins, for instance if your room width is 4.4m wide and the Vinyl you are buying is available in 2m, 3m, 4m and 5m widths then you should buy the 5m wide product. Mixing width's (2m + 3m for example) is not advisable as there can be differences in colour batches. If the Vinyl is only 4m wide then you will need to buy either the length of the room by the width twice and use the second piece as a filler to give you your 4.4m width or if you are fitting another room you may find that you have wastage from this room that can be utilized as the filler. Dont worry, we will be able to advise you on the most economical way to do it. For rooms or hallway's that have a lot of in's and out's then measure it in squares and total up the amount needed. Sometime's it is easier to measure the whole square and subtract the area's you don't need, like a fireplace for example. e.g. so if your room was 10m2, and each pack covers 3m2 then 10m2 ÷ 3m2 = 3.33, so you will need to buy 4 packs.